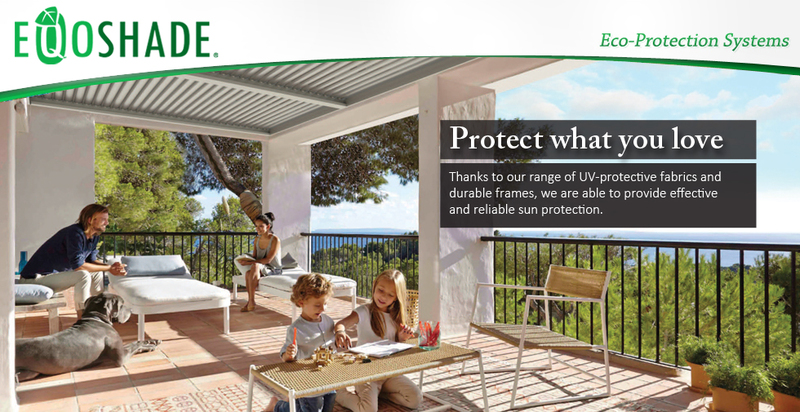 The Eqoshade® line of parasols are simple shade solutions that offer up to 98% UV protection. 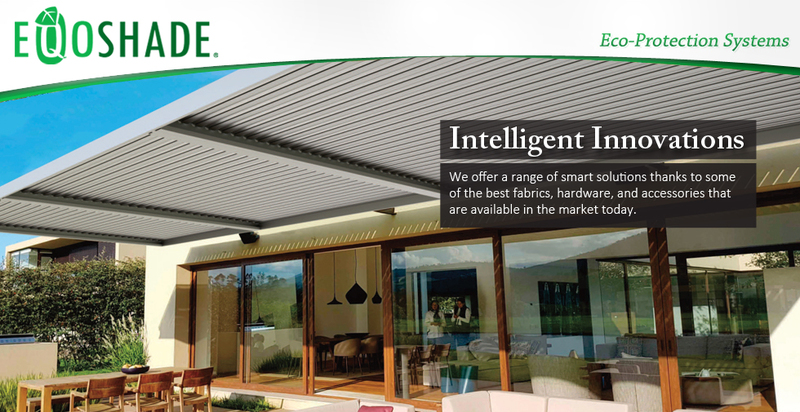 A wide range of retractable (open type and cassette type) awnings as well as roller and vertical blinds are available. 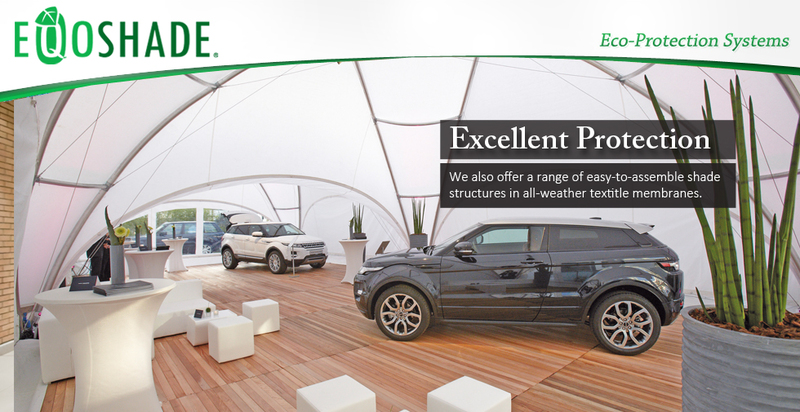 We carry a range of easy-to-assemble structures made with either Sunbrella®, Z-Net® and other textile membranes. We also make custom tent canopy covers using Sunbrella® awning fabrics and other specialty fabrics. 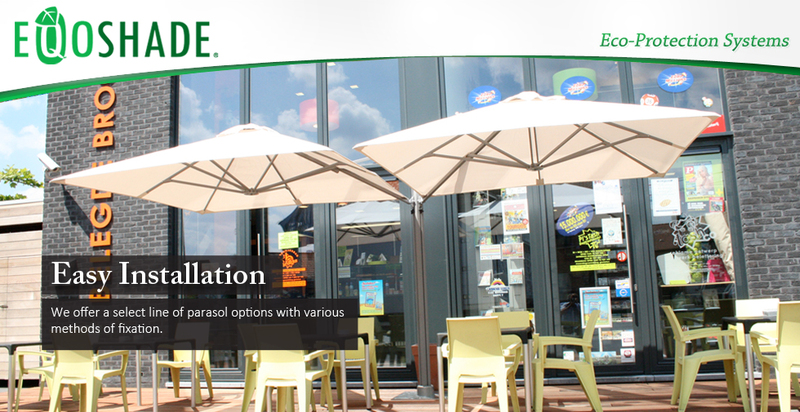 "Eqoshade® offers a system or a combination of systems for the best quality shading solutions at the right price. Trust Eqoshade® to find the perfect shade for windows, decks, balconies, terraces, and even gardens in a size, shape, color and convenience you will love." © 2010 Eqoshade®. All rights reserved.